When I think of Indiana, I think of the Jackson Five, of the Mad-Max-esque landscape of Gary, and of the white-knuckle traffic spilling off of the Chicago expressway. Lately, we’ve been bringing in some gorgeous cheeses from Indiana that has changed everything I thought I knew about the “Crossroads of America.” It started a few years ago with some lovely goat cheeses from Capriole Dairy, and now with some seriously delicious farmstead cheeses from Jacobs and Brichford. While Jacobs and Brichford is a relative newcomer to the cheese scene, their farm dates back to the war of 1812, when their family was allocated land in the Indiana Territory as a survivors benefit for a relative who had died in combat. Over the next two hundred years, the Brichford family used the land to farm just about everything imaginable. 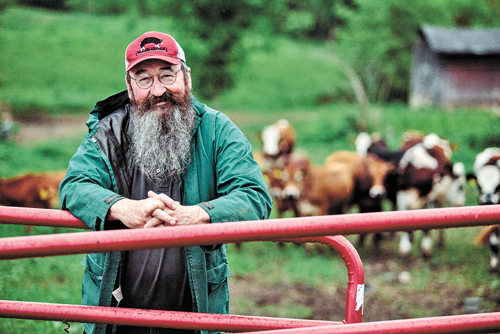 In 1981, Leslie Jacobs and Matthew Brichford took the reins, and began raising cattle for meat. In 1995, they updated their farm to include a fluid milk dairy, with the hope of one day making cheese. Can you have a crush on a cheese? Ameribella, named after their Great-Grandmother America Arabella, is the kind of cheese that makes me weak at the knees. 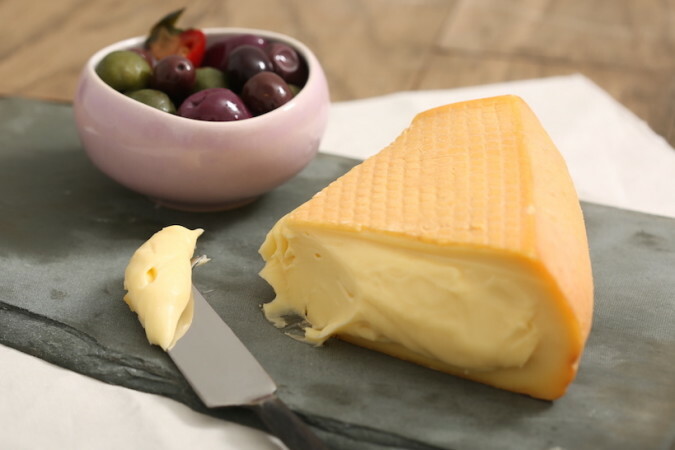 Ameribella is modeled after Taleggio , the legendary washed-rind stinker from Northern Italy. Except that I have never had a Taleggio this rich and unctuous, it almost eats more like a full-flavored Reblochon. The raw, grass-fed milk from heirloom breeds translates into vibrantly butter-yellow paste that contrasts against the smooth pink-orange rind. Washed-rind cheeses are tricky, and “non-cheesemaker” Matthew Brichford has mastered the style. While not runny, the paste does pudge out a bit when you cut into the loaf sized rectangle, its assertive mustardy, meaty flavors are balanced by the richness of the milk. I’m excited to try it a la Wisconsin Limburger style – an open faced sandwich on pumpernickel with course mustard, a thick slab of cheese, and a few slices of raw onion. 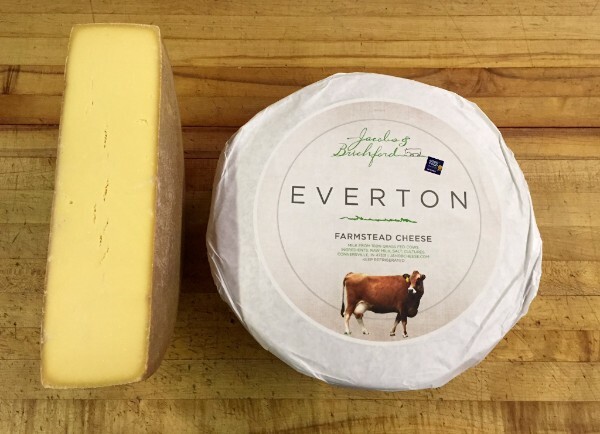 Lest my excitement for Ameribella runneth over, I’m just as geeked about Everton, their take on an alpine large format cheese, named after a nearby town in Southeast Indiana. Weighing in at twenty-five pounds, Everton is only about a third the size of a traditional Gruyere or Comte. That being said, it makes up for its diminutive size with robust flavor. Everton is a bit sharper than imported gruyeres, with bold overtones of sweet onion and brothy tamari. As with the Ameribella, the quality of the milk shines through. The paste is bright yellow, and flecked with those crunchy tyrosine “flavor crystals” that cheese eaters love. Everton would be a perfect melting cheese for fondue, or any of the myriad of Swiss recipes that highlight melted cheese at its finest. Or, if you are like me, you could just eat it as is.